Sunday, March 12th marked Dancing Through College & Beyond’s first ever Scholarship Awarding Ceremony. 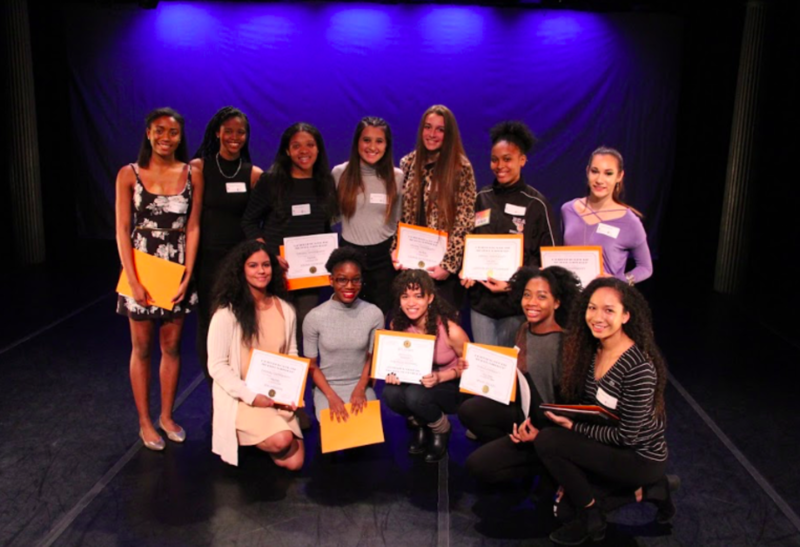 This event recognized students receiving merit-based scholarships through an audition and workshop process Dancewave provided in October of 2016. The dancers who auditioned were seen by 27 different dance schools, universities, and conservatories from around the country. The end result? $1,111,100 in scholarships given to 39 of the attending students! The ceremony included performances by Dancewave’s Company I performing David Dorfman’s “Come, and Back Again,” Marymount Manhattan College dancers, and Douglas Burkhardt, a Marymount Manhattan Alum who spoke about his positive experiences at Marymount and the honor of receiving financial aid. 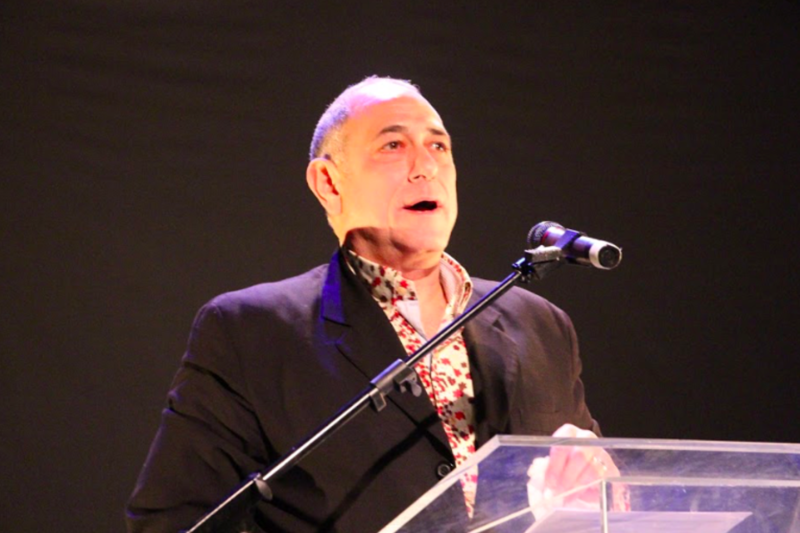 Guest speakers included Erika Guthier of American Musical & Dramatic Academy and choreographer David Dorfman of David Dorman Dance. Shortly after the Burkhardt left the stage, the families beamed with pride as as each of their talented and accomplished young dancers accepted their scholarship recognitions on stage one at a time. 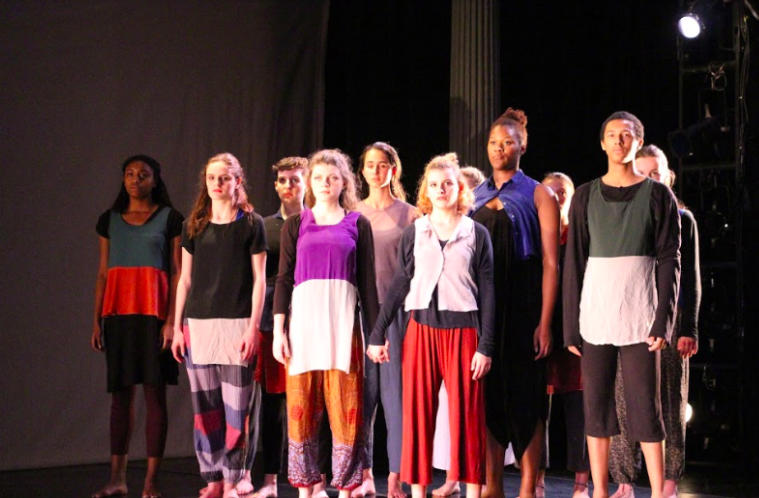 Overall, the successful event was a great reminder in the power of higher education and how dancers can change the world through their experiences. As a year of many firsts for DTCB, we were thrilled to end this year with such a fantastic and positive ceremony to celebrate the students’ hard work. Applying and auditioning for college can be a terrifying and stressful time for many young dancers and DTCB is proud to support dancers seeking financial aid and guidance for making a smooth transition into college. We are looking forward to next year’s DTCB audition on October 7th and 8th of 2017 and hope to make next year an even bigger success! Stay tuned!